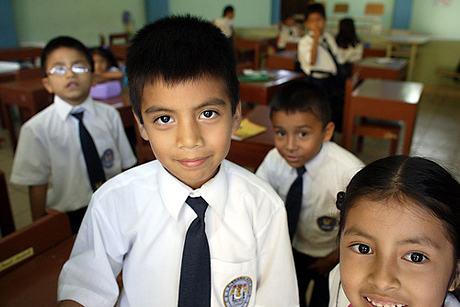 School children, Chiclayo, Peru, 2005. The A Mission Proclaimed’s mission statement, taken from our Articles of Incorporation is this: to educate and inform the church body to the work of missions around the world. Many remain in darkness unseen therefore nameless with needs unmet. We strive to be the eyes for those who would then proclaim it their mission to lift these up in prayer with eyes open and alleviate the suffering; not of the entire world, but of a single soul whose name they have learned. The mission of AMPP is to promote the universal stories of missions to the first-world Christians. This is not to imply that missions work is restrained to third-world nations. There are important, innovative mission endeavors being undertaken in the modern cities of Europe and the cities of the U.S. These universal stories of God’s work are inspiring and encouraging. Christians with means need to be involved. AMPP’s desire is to inspire and motivate Christians to become actively involved; both in steadfast prayer, and also in active support of those involved in the harvest. Visit our webpage at ampproductions.org.